Playing the Game or Just Getting Played? 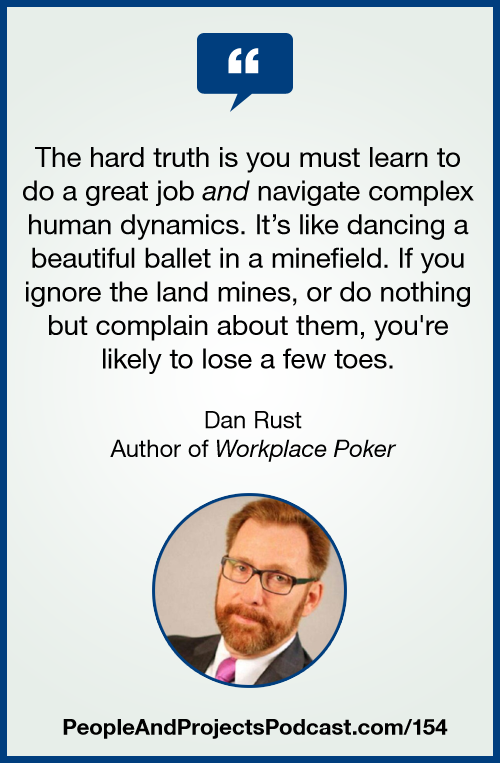 In this episode, I welcome Dan Rust, author of Workplace Poker: Are You Playing the Game or Just Getting Played? If you get sick of office politics, join the crowd. But the reality for project managers is we need to be effective with a wide range of stakeholders, and there are complex human dynamics that must be navigated. This is one of the best books I've read on the topic in a while. Learn more about Dan and his book at WorkplacePoker.com. THE COMPLEX by Kevin Macleod Licensed under a Creative Commons: Attribution 3.0 License.